Our safety inspections can give an employer an accurate picture into how compliant they may be and what areas may need adjustments and improvements. We focus on full compliance with all local, state, and federal codes and regulations for all types of work-sites, including EPA, HAZMAT and OSHA regulations. We can be on site as little and as much as needed to ensure our inspections, guidance and recommendations help your company stay on top of all OSHA health and safety guidelines. 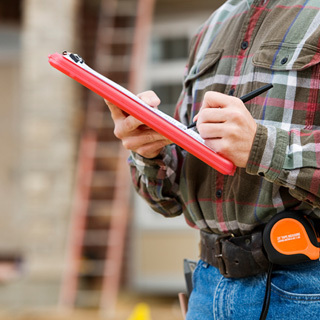 We handle inspections of both general industry and construction on all levels and for all sizes of projects and jobs. We are dedicated to providing long term, daily oversight, or periodic preparatory inspections to ensure you are ready for an OSHA inspection. We can also handle any level of oversight and inspection needs in-between. Our comprehensive inspection process can cover employee behavior and safety, the use of protective equipment, noise evaluations, equipment operations and compliance, air monitoring, and inspection of material handling procedures, such as: chemicals, asbestos, lead removal and others. York Safety Solutions can also evaluate and inspect your vehicle fleet and help you meet full regulatory standards across the board. Our safety inspection standards and practices can help you avoid costly fines for non-compliance, extra costs from accidents, worker’s compensation costs, rising insurance costs, and can help save lives by pinpointing exactly where improvements can and should be implemented. Our inspection process is the affordable and responsible way to ensure your general industry or construction site always put safety first, never last so you, your employees and your company can have a future, not a past.